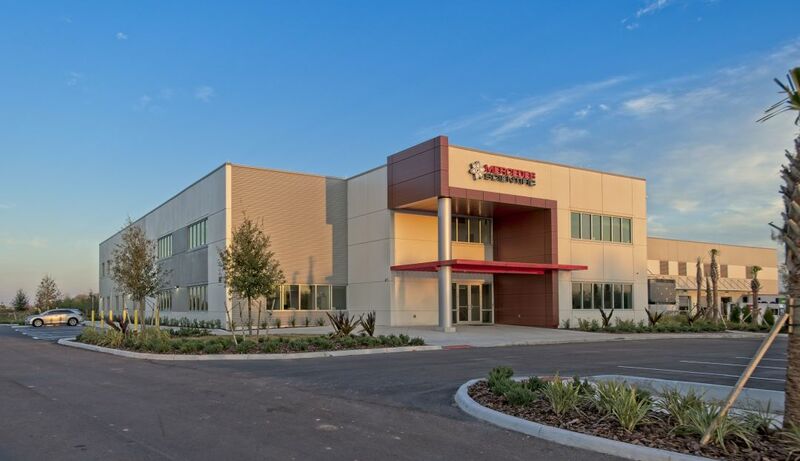 Halfacre Construction Company, which has offices in Sarasota and Punta Gorda, recently completed construction on a new 54,667-square-foot corporate headquarters for Mercedes Scientific, a national laboratory products distribution company. The building is located on five acres at 12210 Rangeland Parkway, Lakewood Ranch, and is part of the Collaboration Opportunities for Research and Exploration research park, a 305-acre biotech industrial district. Construction began last year. Mercedes Scientific sells equipment and disposable supplies to reference labs, physician offices, hospitals and more.